As Vice President of Rehabilitative Operations and Restorative Services, Gayla brings a wealth of experience to the staff and patients of The Carpenter Health Network having spent more than 25 years in health care services and management. 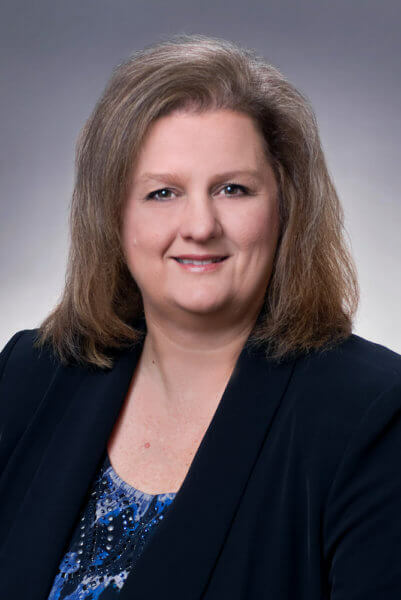 After earning an Associate’s Degree in Nursing from Southwest Community College in Mississippi and a Bachelor’s in Health Administration from the University of Phoenix, Gayla began her career as a Registered Nurse for hospitals in Mississippi and Louisiana. In the early 1990s she moved into management, gaining crucial experience with nurse staffing and field supervision, Medicare and Medicaid billing, overseeing clinical programs and employee education. She served as an instructor with a state-approved nursing assistant program and as Director of Nursing for a rehabilitation hospital. From there, Gayla progressed to positions that included Administrator and Program Manager for long-term acute care centers. During that time she provided oversight of three hospital building projects. In her previous position, Gayla was responsible for all daily operations for a two-campus LTAC health system in Louisiana. She also played a major role in obtaining Joint Commission accreditation for each campus.